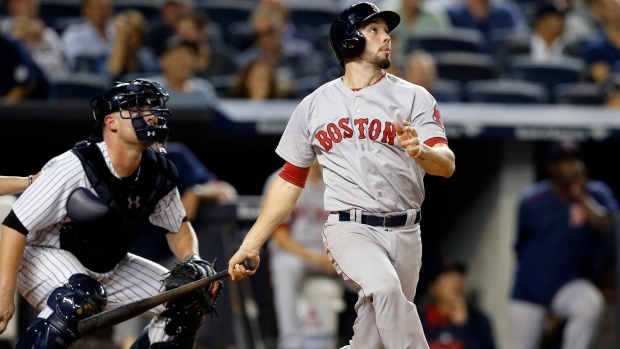 Blake Swihart has been designated for assignment by the Boston Red Sox. In corresponding moves, the team has recalled catcher Sandy Leon and right-handed pitcher Erasmo Ramirez from Triple-A Pawtucket. Swihart, 27, is in his fourth MLB season. The Bedford, Texas, native is batting .231 this season with a home run, four runs batted in and an OPS of .695 through 29 plate appearances. Leon, 30, was waived at the conclusion of spring training. He will serve as back-up to Christian Vasquez. The Red Sox (6-11) open up a series with the New York Yankees (6-9) in the Bronx on Tuesday night.